I love this time of year because fall is a great time for photography and I get to plan my annual trip to PhotoPlus in New York City. If you've never been to PhotoPlus, it's a smorgasbord of photography classes, seminars, photo walks, and keynote speakers. Plan to be there October 25-27, 2018! It's a great opportunity to rub elbows with other photographers, learn about where the industry is headed, and scope out awesome photography products from some of the top photography companies in the world. I always enjoy the expo at PhotoPlus because it's nice to see old friends and make new ones (and it's fun playing with all the products on display!). Here's a few fine folks I'm excited to see at this year's PhotoPlus. What I appreciate about Sirui is that they listen to photographers and put out gear that has the features and the versatility that we want. Earlier this year, Sirui unveiled a brand-new line of professional tripods that take the meaning of “great tripod” to another level entirely. Sirui will be manning Booth 1054 at PhotoPlus 2018. Stop by and see the impeccable quality of their SR Series tripods and other products for yourself! I’ve owned a lot of photography gear over the years - plenty of it perfectly good, some of it really bad, and even less of it that I’d put in the “spectacular” category. Well, solidly in that spectacular category is my gear from Holdfast. These guys crank out some of the best photography straps and camera bags on the market today. I’ve used their products for years now, and I can personally attest to the quality, the functionality, and the aesthetics of their MoneyMaker Dual Camera Strap and their Roamographer Camera Bag. But Holdfast embodies something else that I appreciate beyond their ability to craft amazing photography gear - they’re constantly working to improve their products and deliver innovative gear that makes our jobs as photographers easier. New for 2018, Holdfast recently unveiled their MoneyMaker Solo - a single camera version of the original MoneyMaker. 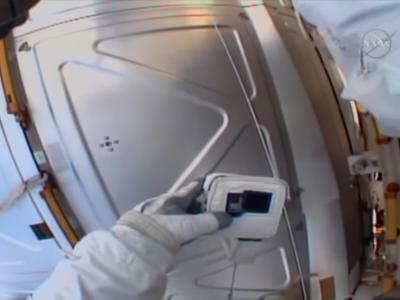 The Solo solves the one “problem” of the original MoneyMaker in that it’s specifically designed for single-camera shooters. Photographers asked for a “lite” version of the MoneyMaker to address this issue, and Holdfast has obliged in beautiful fashion. Where my original MoneyMaker can accommodate up to three cameras, the Solo gives you a comfortable and functional way to carry one camera such that it’s out of your way, yet right at your fingertips for quick shooting at the same time. That’s thanks in large part to the included belt anchor that keeps your gear locked in without moving, right at your side, yet easily releases it when you need to take a shot. Made using the same gorgeous leathers and hardware as the original MoneyMaker, the Solo also has the same versatility of the original MoneyMaker because you can add Holdfast’s cell phone pouch and lens pouches to carry even more gear. If you’re new to the Holdfast environment, I strongly suggest you find your way to Booth 651 at PhotoPlus 2018 and scope out the MoneyMaker Solo and their other products firsthand. You won’t be disappointed! I go to PhotoPlus every year and spend a ton of time on the Expo floor checking out all the incredible photography gear that companies are putting out. 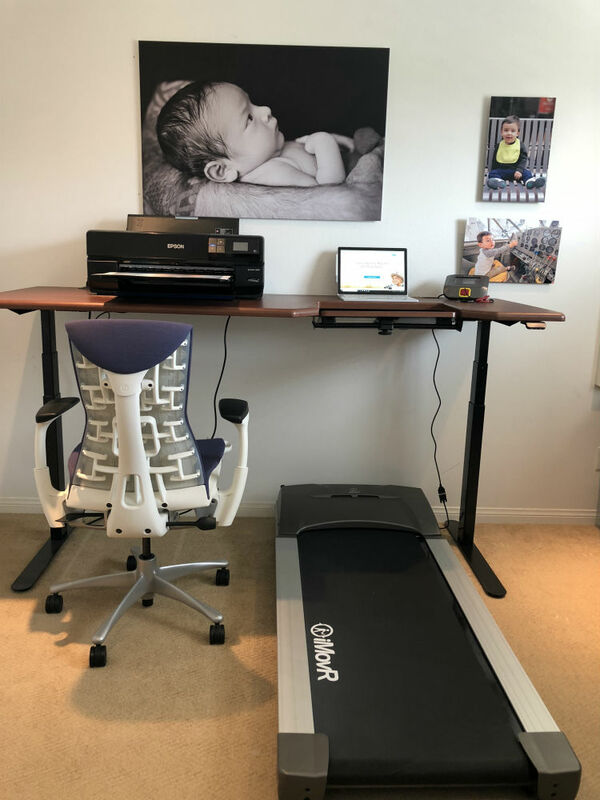 Over the last two or three years, I’ve run into the folks from MyCaseBuilder, and each time I visit their booth, I’m totally blown away by the online program at MyCaseBuilder.com. It is so easy-to-use and each custom insert is unique, created with incredible attention to detail and overall quality. MyCaseBuilder elevates the process of designing and manufacturing their inserts with an engineer’s precision and an artist’s impeccable touch. On top of that, the MyCaseBuilder team is simply a collection of rock stars that are dedicated to creating products that not only protect valuable gear from damage, but also help all us photographers actually do our jobs better. Since you can completely customize your MyCaseBuilder foam insert, you can determine what case the insert is for as well as the kit it will be used with. Whether you’ve got a Nikon D850 with ultra-wide-angle, wide-angle, and telephoto lenses for landscape photography or a Sony A7R III with a slew of prime lenses for portraiture, or something in between, these custom foam inserts will accommodate whatever gear you’ve got. Better still, since you get to determine where each piece of kit goes in your insert, you can customize how your gear is stored in your case to suit your specific needs. Now that’s what I call perfecting your workflow! I don’t travel as much as I once did, but I can tell you this - if I’m ever on the road with my photography gear as much as I used to be, the very first thing I’m going to do is design a MyCaseBuilder custom foam insert to protect my camera, lenses, and other gear. If you’re headed to PhotoPlus 2018, be sure you drop by Booth 162 and see what MyCaseBuilder has to offer. Take it from me...you’ll be impressed! 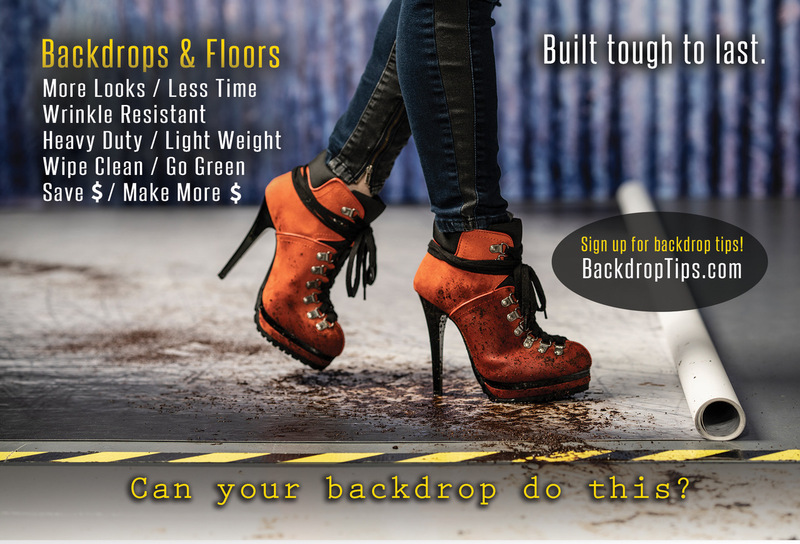 One of the newest companies on my must-see list at PhotoPlus is Click Props Backdrops. It’s been about a year since I first laid eyes on my first backdrop from these guys at PhotoPlus 2017. And man, was I ever impressed! Those positive impressions have stayed with me since, and I’m excited to see what Click Props Backdrops has in store for PhotoPlus 2018. From my point of view, there are two things that make this company one of the most exciting in the photography industry today. 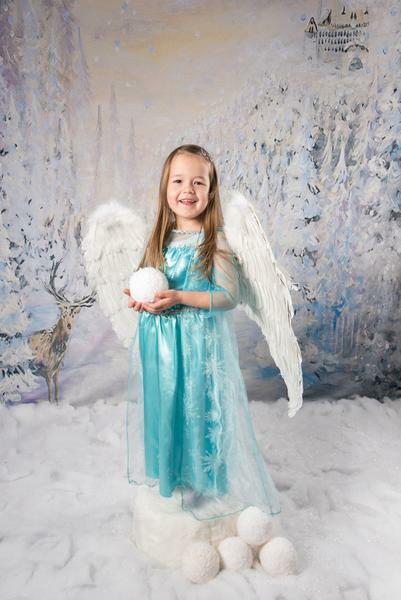 First, they simply make some of the best backdrops on the market. If it’s quality you’re after, you needn’t look any further. Not only are these backdrops beautifully made, but they’re also durable, too. If you’ve spent any time in a portrait studio, you know that no matter how hard you try, dust and dirt always find their way onto your backdrops. But since Click Props Backdrops use 550gsm vinyl, they’re super easy to clean between shoots. What’s more, the vinyl is thick, so it doesn’t easily tear or puncture. That’s durability you can count on! 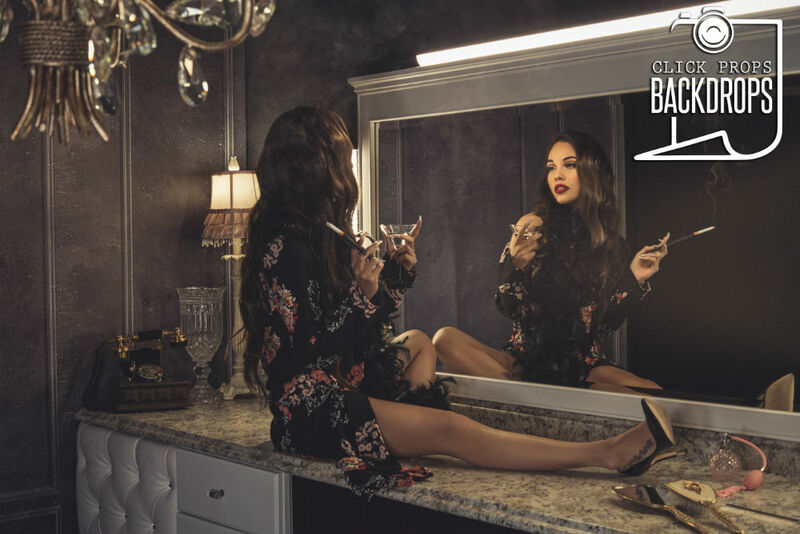 The second thing that makes this company stand out is the sheer enthusiasm that Kat Armendariz, operator of Click Props Backdrops, and her team have for photography and helping other photographers create top-notch images. They aren’t in it just to make a quick buck. 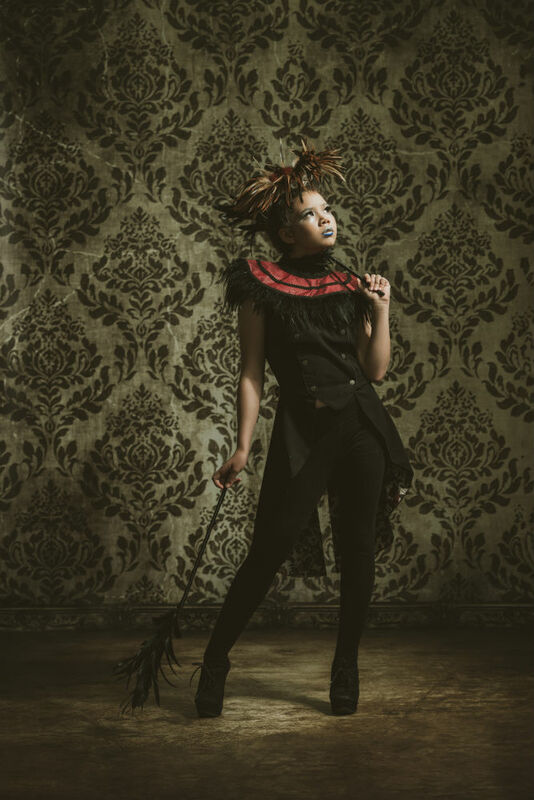 Instead, Kat and the Click Props Backdrops family strive to offer the best-quality backdrops, floorgrounds, and combo sets. But don’t take my word for it - Click Props Backdrops is a three-time winner of the Best Professional Studio Accessory award. If you’re at PhotoPlus this year, don’t miss out on seeing the best backdrops on the market. Visit Kat and her team at Booth 462. Whether you're in it for fun or as an occupation, photography is expensive. Fortunately, there are ways to save money on photography gear and get more bang for your buck. MPB is a great option for photographers that way to buy or sell used gear. Their secure online platform makes it easy to find what you need for a price that doesn't break the bank. And if selling old gear is on your mind, MPB makes getting rid of your old stuff a breeze as well. You can even trade in your old gear to finance newer gear! If you're a buyer, MPB has an unrivaled collection of cameras, lenses, and other gear you can choose from. Once you find something you like, you simply place your secure order, wait for your gear to arrive, and enjoy a six-month warranty on your purchase. If you're a seller, MPB offers competitive pricing for your gear, that way you get the most out of your old camera or lens. MPB even offers free pickup to make the process of selling your old gear easier. I can speak to the ease of using MPB because I've bought and sold gear with them a number of times. If you're looking to save money on new-to-you gear or have a camera or lens you want to get rid of, MPB is the place to do it. Drop by Booth 265 at PhotoPlus 2018 to say hi to the MPB team! Skylum is a leading photography software company whose mission is to make editing your photos as simple and user-friendly as possible. Their Aurora HDR software is the best HDR software in the business, and helps you create flawless HDR images in a matter of seconds. That's thanks to revolutionary tone mapping with a Quantum HDR Engine that instantly merges bracketed images into perfectly balanced HDR photos. No bracketed images? No problem! 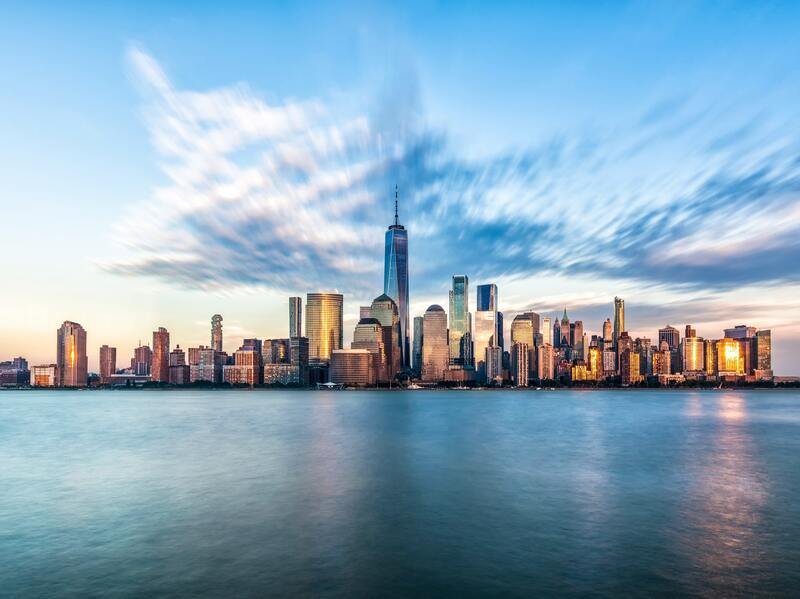 You can even create HDR images from a single source photo. 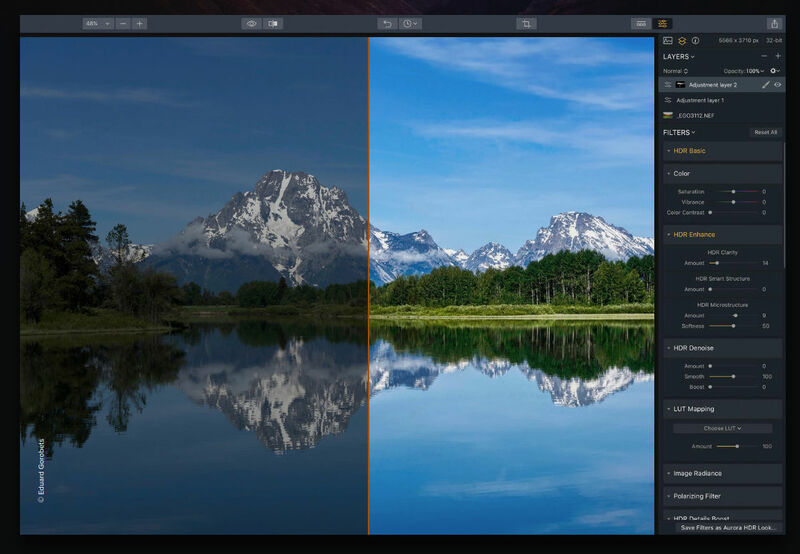 Skylum's Luminar software is no slouch, either, with an innovative suite of tools and high-end proprietary technology that gives you the power to create images that are truly breathtaking. Seriously, for my money, Luminar is every bit as good as the big boys - Photoshop and Lightroom. That's due in large part to the fact that it's got 45 intelligent filters to enhance your photos, 67 smart presets that make editing a breeze, and an intuitive and easy-to-use interface that facilitates quick photo editing. 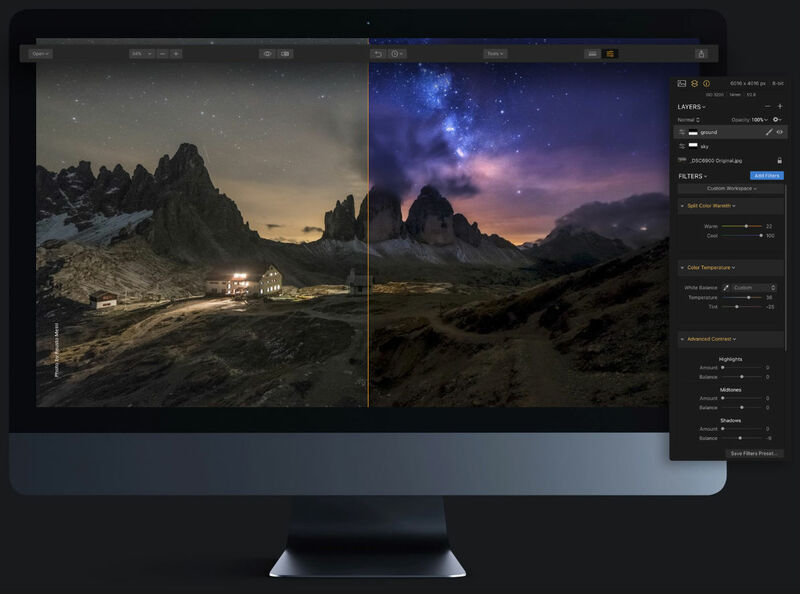 Luminar is also available for a one-time fee, so there's no endlessly repeating charges to use the software like other companies. 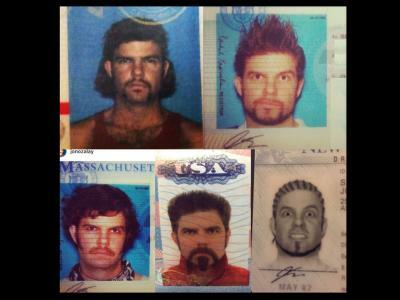 If I summed up Skylum in one word, it would be innovation. These guys are the tip of the spear in photo editing software. There's a reason why they've won so many awards! Swing by Booth 155 to check out the latest from Skylum. If you ask me, Peak Design is one of the top camera bag companies right now. Not only do their bags look like a million bucks, but they're also highly functional and affordable, too. Better yet, Peak Design understands that every photographer has different needs, and their line of bags seeks to give each of us just what we need for our specific workflow. Whether you have a ton of professional gear you need to carry in a big bag, a small mirrorless system for weekend fun, a bag to carry your drone and the associated accessories, or something in between, Peak Design has just what you need. 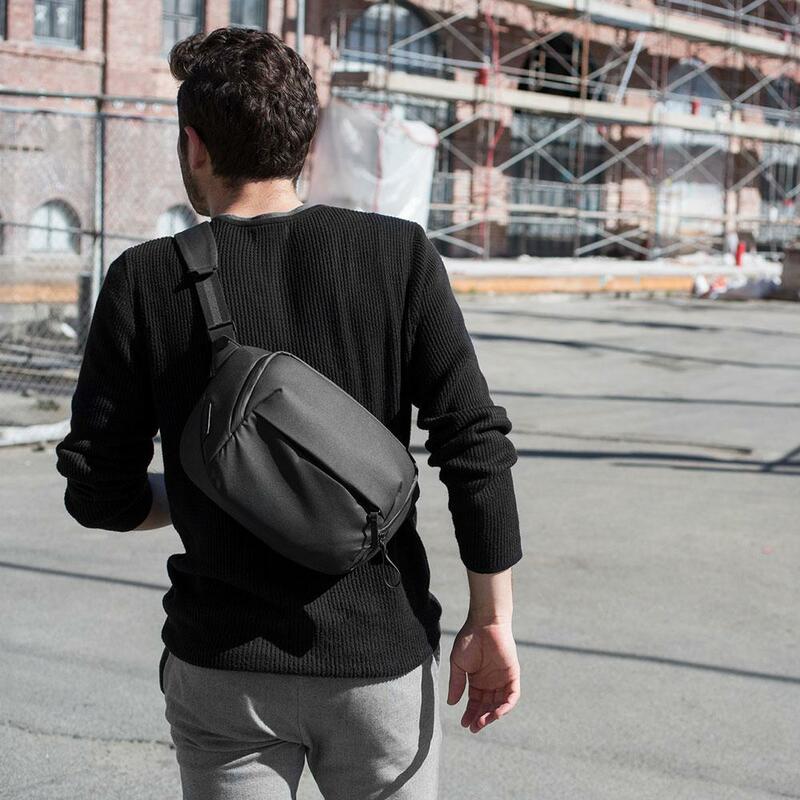 They also have a host of innovative camera straps and a new travel line (detailed in the video above), complete with an organization system to keep everything from your dirty clothes and shoes to your camera and lenses nice and tidy in your bag. For people like me that are a little on the unorganized side, their travel backpack is a total lifesaver. These guys really do think of everything, but if you need more convincing, a few minutes at Booth 1131 will make you a Peak Design enthusiast! A new company that's on my radar is Kate Backdrop. I stumbled upon these guys when I was looking for backdrops to recommend for a friend that's a portrait photographer. To say that I've been impressed with what I've found from Kate Backdrop is an understatement. For starters, the sheer size of the selection of backdrops is amazing. We're talking hundreds and hundreds of designs for all kinds of portraits, from holiday themes to abstract textures, birthday party backdrops to sports backdrops. What's more, not only are these backdrops premium quality, but they're also budget friendly. Talk about a win-win! You can get custom-painted backdrops, custom sizing, rubber floor mats, complete studio sets, and more. I, for one, will be spending a good deal of time at Booth 367 because I want to see just how incredible these backdrops look up close! If you've got a need for a new camera, lens, or other accessory, do yourself a favor and make Focus Camera your go-to resource for new photography gear. I've worked with Focus Camera for years now, and I can tell you first-hand that every time I order something, I'm blown away by the customer service experience. Not only that, they do a great job getting your gear to you in a timely fashion, which as an incredibly impatient person, I really appreciate. Their selection of products is second-to-none as well. 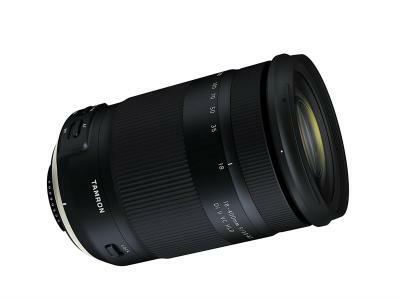 That includes photography and videography gear, scopes and optics, TVs, computers, and even musical instruments. Something else that I appreciate about Focus Camera is that they have competitive pricing. There's no big markups here, no outrageous fees, either. Instead, when you buy something from Focus Camera, you know that you're getting a fair price on top-notch products, and that you'll have a team of professionals that will have your back after the sale, too. Seriously, if you have a problem, a concern, or a question, you'll quickly discover just how great the team at Focus Camera really is! Stop by Booth 164 to see the Focus Camera difference! I fully admit that I was a Canon printer guy for a really long time. But when my Canon printer was on its last legs, I decided to give Epson a try. That was a great decision. I have Epson's SureColor P800 printer, and it has quickly demonstrated itself to be the best printer I've ever owned. It's clear that Epson is at the forefront of printing technology based on the results I've gotten with this printer. Not only is the color absolutely incredible, but the printer can accommodate making prints up to 17-inches wide. You can even make borderless prints! The giant 80ml ink cartridges are nice, too, because I print a lot of images, and nothing is worse than getting those low ink warnings when you're in the middle of printing an important photo. Whether you need a small print or a large one, a color print or a black and white, Epson has you covered! See what new products they have in store by visiting Booth 707 at PhotoPlus 2018. Years ago, I picked up a Spider Holster SpiderLight hand strap for my Sony a6000, and I instantly became a huge Spider Holster fan. Since then, I've picked up a strap for my Nikon D850 as well as a new hand strap for my Sony a6300. To say that these straps are intuitively designed is an understatement. Not only are they crafted using materials that are durable and comfortable, but the design of these hand straps makes shooting a much more comfortable endeavor. 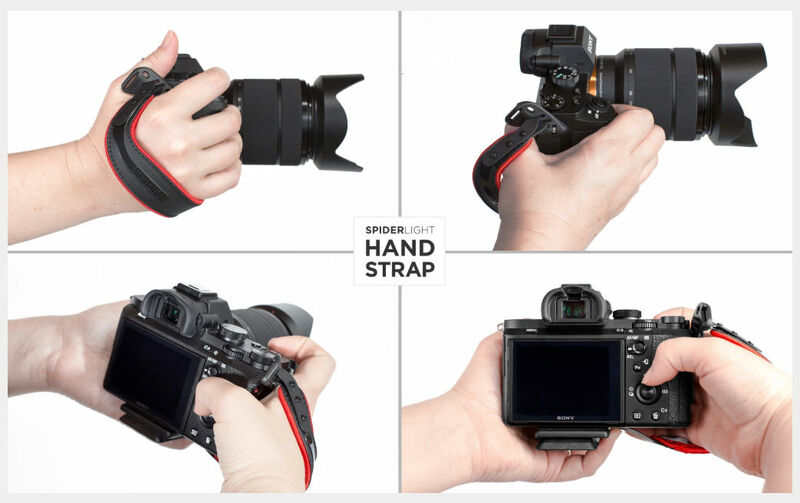 The strap hugs your hand - not strangle it - so you get the comfortable carrying experience you want while knowing that your camera won't slip off your hand, either. Their holster system is one of the best in the business. 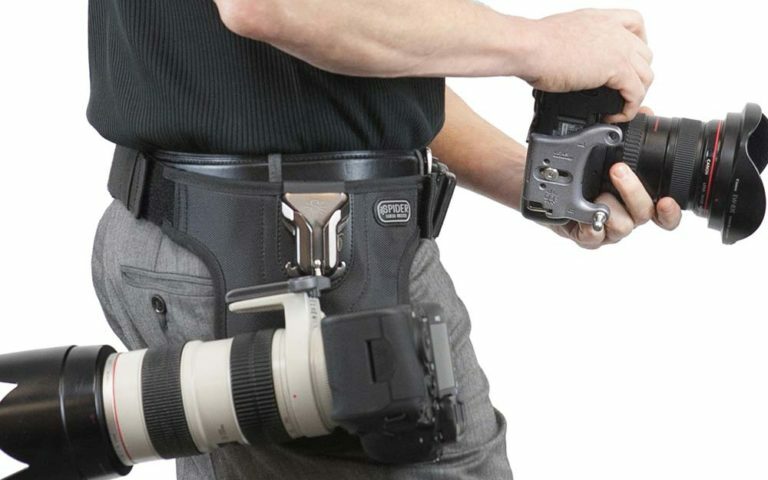 From single and dual-camera systems for big, professional gear to holsters, straps, and other accessories for small point-and-shoot cameras, Spider Holster has you covered. No matter what kind of holster you have, you'll find that the speed with which you can work is increased. What's more, you'll know your expensive gear is safe and sound with Spider Holster's unique ball-joint system that keeps your camera and lens securely attached to the holster, yet allows your gear freedom of movement, that way it can move with you, not against you. Seriously, if you've never experienced the joy of carrying your gear in a Spider Holster rig, you need to give it a try at Booth 1025!